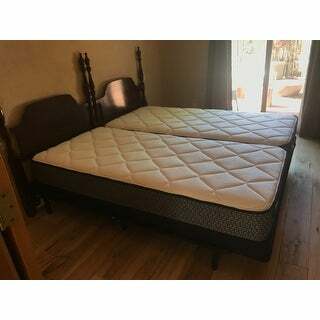 I used this mattress set in a vacation rental. It's actually more comfortable than the mattress I sleep on at home! Disclaimer - I prefer a mattress on the firmer side; my sleep partner does not. 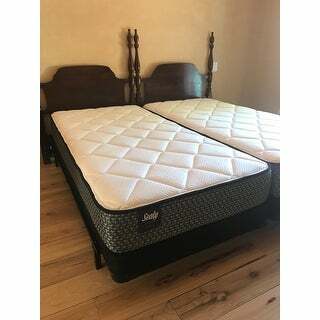 While this mattress is firmer than the one we sleep on at home, my partner has no complaints, either, and we both sleep comfortably at our vacation home. Can't beat the price, and meets the expected Sealy quality standards. 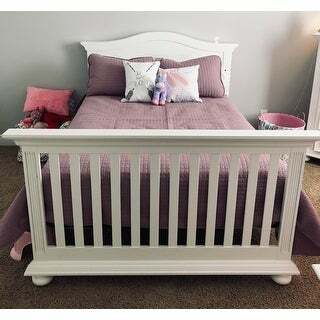 We used this for our daughter’s new bed. It worked out great. We got the low profile box springs. Mattress is very comfortable and it was an extremely fair price. Local stores are pricey and charge lots for delivery as well. After looking on Overstock I picked this set and am greatly pleased! Just the right balance between firm and soft. Delivery company notified us in advance of delivery including a call that they were in vicinity. They brought the set into the house, unwrapped everything and placed on bed...they took all wrappings with them...very professional! Would definitely recommend! 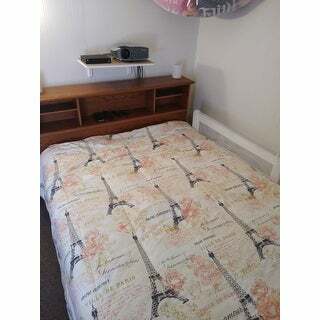 Good quality mattress for a good price, and free delivery. I ordered two Twin XL sets for my guest room so I could have the option of keeping them separate or putting them together for a king size. I was skeptical about ordering mattresses online but it worked out. The mattress set itself seems very supportive and comfortable to lay on. I think it will be even more comfy when I put the down alternative featherbed on top. Overstock contracted with a local delivery company, who flaked on the first scheduled delivery (I was left waiting for several hours on a Saturday with no off-hours phone number to reach them). They rescheduled and delivered the mattresses ok (not a dedicated mattress delivery company so I don’t think they would’ve taken away old mattresses etc). Took about three weeks between placing order and mattresses arriving. Overall satisfied! Super comfy and I love the low profile mattress! Great mattress. I bought a queen size for my daughters room. I was looking for a cheaper dealt mattress that was still comfortable. I have no complaints it’s great. I wanted to wait a few weeks to write this review; sometimes you don't get the true picture of a product overnight. I'm glad I did! I am sleeping like a baby on this mattress set! It is EXACTLY what I was looking for, from the height (customizable with the number of options offered at overstock.com) to the blend of traditional and newer technology. I especially like that I can sit on the edge of the bed to tie my shoes without feeling a lack of support. It looks good and "sleeps" better. I'm so happy with my purchase that I've told several friends about it. You can't go wrong with this purchase! I purchased this mattress set for the guest bedroom. This is a very comfortable bed. Initially i thought I would need to purchase a mattress pad for comfort but the mattresses are well made and sturdy. The bed ia quite comfortable without a mattress pad. I was skeptical as this was my first online mattress purchase and intend to order a second set for our master bedroom. I highly recommend this mattress set. I love this mattress and box spring set! It's very cosy and comfy with support that my back needs. I have tried other more expensive mattresses and I like my Sealy better. It is definitely the best sleep I have had in a long time! Thank you Overstock and Sealy! Had this mattress for about a year, it’s very comfortable however it’s sagging on the edges where someone would essentially get on and off the bed. Good price but I feel I’ll be buying another mattress in a few years. This bed is very comfy and perfect! Very nice delivery as well. Very happy with this purchase. I was concerned about the process. But it was virtually problem free. The mattress is great....extremely comfortable. This was a wonderful choice. I ordered this for my bedroom, it is a bit too soft for my test so ended up moving this to my guest bedroom, but overall it is a comfortable mattress, but depends on personal taste. Order came fast no issues. We bought this for my 8 year old sons room and he loves it. He has slept on it for about 3 nights and has no complaints. I laid on it and it is pretty comfortable. It did take a while to receive it, about 4 weeks from the time of my order but for the price it was worth the wait. We bought this mattress for our daughter’s bedroom. We didn’t have any luck with ordering our son’s bed online in the past so we were a little skeptical. However, from the very first night we realized that this was it! It’s beyond comfortable and our daughter sleeps soundly through the night! Great mattress and would order this again! I simply love something soft to put my body on. I have a lot of pain with a mattress that’s as hard as a board. This set is the best, it’s a great mix between soft and firm. Now, I sleep like a baby. "What does low profile and regular profile mean?" Low profile is 5-inches high and regular profile is 9-inches high. "What are the actual dimensions of the twin size mattress? One reviewer states that these beds are smaller than noted in the product details"
The products measure typically 39 inches x 75 inches; however, there is a variance of + or - 0.5 inches. These are handmade products so they can vary slightly in size. "Does the Queen foundation comes as 1 or as a split?" The queen foundation comes as one piece. "Is the queen foundation split or 1 piece? " 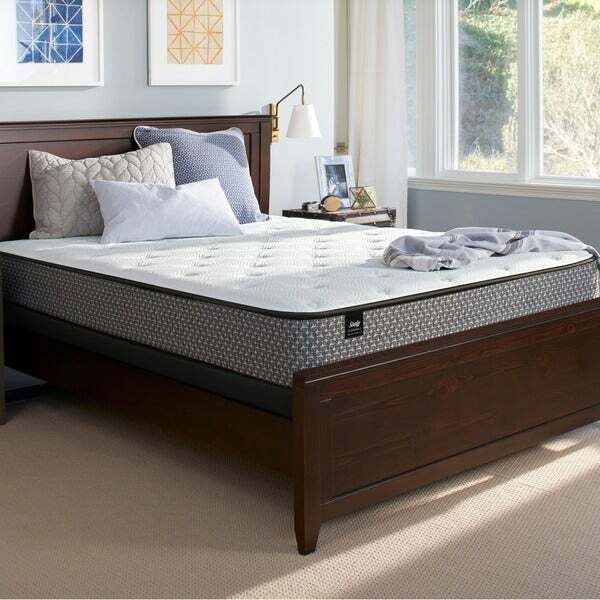 "Does this Sealy Response Essentials Plush 10.5" mattress set make any noise when sitting on it or getting on and off of it? Is it at all bouncy and does a person feel movement when the other person on the other side moves around?" 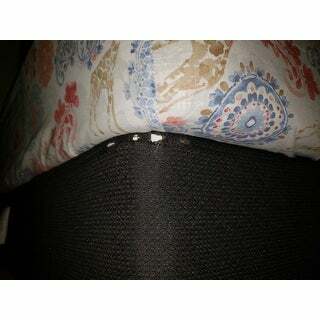 The foam layer helps to reduce motion transfer, preventing you and your partner from disturbing each other. This is an innerspring mattress. I bought the King size and I definitely feel every shift and wiggle that happens on the other side, almost to the point that it reminds me of being on a water bed. So, if you are sensitive to motion transfer I would recommend looking for a different bed with individually encased coils. I believe this bed's coils are vertically linked and motion on other side seems to flow over kind of like rows of wheat waving in the wind. "Is it the set; mattress and box spring?" 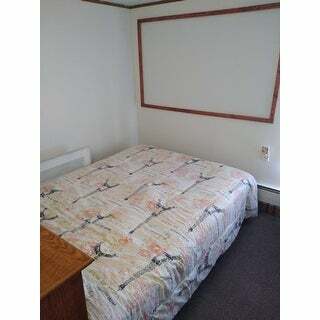 Yes, this includes mattress and foundation. "Is the king foundation a split foundation (eg two of them, split width-wise)? I ask because I have a stairwell that won’t fit a king-size box spring. Thank you"
You will receive (2) foundations to create a King-size.